The oldest green spaces in Edinburgh date back literally centuries, with Holyrood Park being amongst the most historic and formerly functioning as part of a 12th-century estate, before being laid out as a private royal parkland in the 1540s at the request of King James V.
The Edinburgh Royal Botanic Garden covers around 77 acres / 31 hectares and was founded in the 17th century, offering endless horticultural attractions for even the keenest of gardeners. 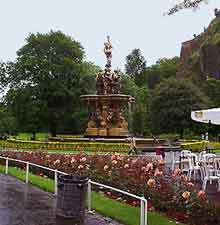 Also boasting a lengthy pedigree, the Princes Street Gardens were established in the early 19th century and provide a convenient and scenic shortcut to the city's famous castle. The Princes Street Gardens reside within the heart of Edinburgh city centre, near Waverley Station, between the Old Town and New Town areas. 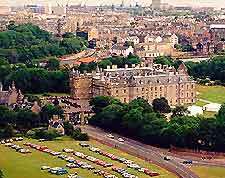 This relaxing green oasis suits both locals and visitors alike, and is divided into East and West areas, being separated by the Mound (a man-made hill) and the Royal Scottish Academy. Attractions include old trees, shrubs, flowers, pathways, picnic areas, a number of seats, a bandstand and a playground. Children are always particularly fascinated by the floral clock. 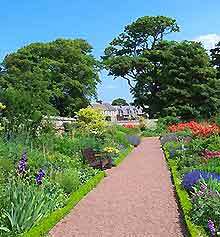 Situated in the south-westerly suburb of Balerno and now owned by the National Trust, the Malleny Gardens comprise 3 acres / 1.2 hectares of beautiful landscaping. These attractive walled gardens come with ancient trees, herbaceous borders, rose beds and a grand 17th-century house. Particularly interesting are the clipped yew trees, which are believed to be more than 400 years old. There is also a Victorian greenhouse filled with flowering pot plants, as well as woodland trails, a restaurant and adjacent parking. The Royal Botanic Gardens can be found in the New Town area, where they are one of the most important gardens in Scotland. 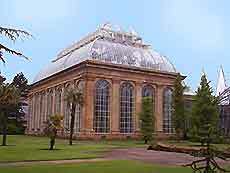 With many historic features and mature landscaping, highlights include a large greenhouse filled with tropical plants, the tallest palm trees in the whole of the United Kingdom, a large number of azalea specimens, an impressive alpine collection and rockery, ponds, streams and many important horticultural collections. Mavis Hall Park is located in East Lothian, within the hamlet of Humbie and on the south-easterly outskirts of the city. This popular spot has many attractions for visitors, including a wide range of outdoor activities, such as mountain biking, quad biking, off-road driving, clay pigeon shooting, fishing, falconry, golf, archery and much more besides. There are a number of special events held throughout the year within the grounds. Holyrood Park resides in the Calton area of Edinburgh, where it serves as an important wildlife haven. Also often referred to as 'Queen's Park', Holyrood is full of strong, architectural natural elements, such as lochs, mountains and heather meadows. 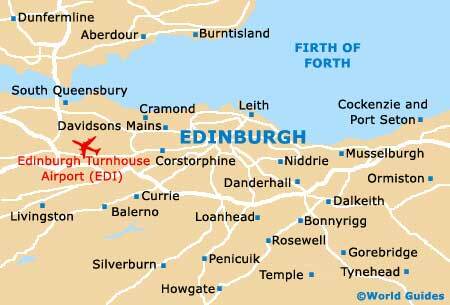 Other notable highlights include areas of marshland, glens, Arthur's Seat (the city's famous extinct volcano), steep pathways providing stunning city views and countless wild birds. Dunbar's Close Gardens is a secret little park on the north side of Canongate, in the city centre. Laid out in the formal style of the 17th-century, visitors will find ornamental flower beds and manicured hedges, which combine to provide the perfect refuge from busy city life. There is also an excellent view of the old Edinburgh Royal High School from the grounds.